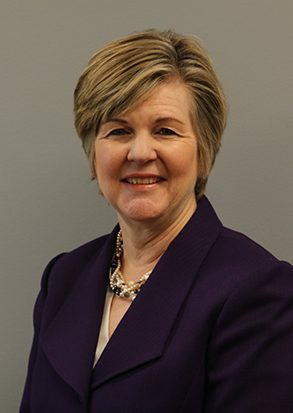 Heidi Voorhees is the president and co-owner of GovHR USA, and possesses more than 30 years of collective experience working in local government. She has served as both a municipal leader and partner with local governments and nonprofits, handling executive search and management consulting. Heidi’s exceptional communication style and lasting relationships have positioned her as a widely-respected leader in her field across the U.S. She is deeply focused on understanding the culture of each organization that GovHR USA serves. Executive searches conducted by Heidi for GovHR USA are uniquely tailored around clients, and achieved through consensus-building and decision making with a wide range of community leaders. This in-depth and thorough consulting method sets Heidi apart from others in her industry; she leads executive talent searches that expertly identify imperative skill-sets, and provide a robust match for core values and professional environment. The crucial ability to understand the needs, challenges and perspectives within clients’ organizations are ingrained in Heidi’s fundamental strengths; she works in a highly-effective manner with elected and appointed officials to assist them in making critical personnel decisions. Through this exemplary approach, she understands the intricacies that exist within organizations and communities. Realizing the importance of her clients’ human resource and executive management needs, Heidi works tirelessly to advise and consult, so that she can strategically connect the best talent available with her clients. Heidi is extremely passionate about her commitment to advancing women and minorities in local government, which is also a strong emphasis of GovHR USA. She believes in conducting extensive outreach in the search for talented individuals which results in highly qualified candidates from all backgrounds.